Cannabis is widely used as a sleep-aid for those who suffer from insomnia and cannabinol is the reason why. 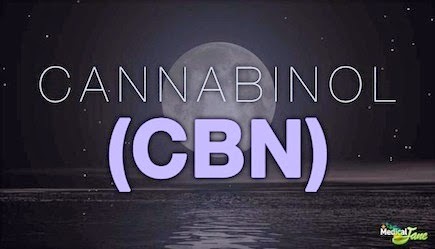 By all accounts, CBN is the cannabinoid responsible for the sedative effects of cannabis. Because of this, I tend to reserve high-CBN strains for night use. Another use for cannabinol as an anti-bacterial. According to a Italian study from 2008, cannabinol “showed potent activity against MRSA” when applied as a topical. Topical uses also have shown promise in treating burns and psoriasis. The research on cannabinol (CBN) is still lacking, but some early studies have suggested it could stimulate bone growth. If that’s the case, it would be helpful in treating osteoporosis. It could also help those with broken bones to recover more quickly. When searching for the perfect strain, it’s important to know what you’re getting. This is why lab-testing should never be overlooked. Testing facilities like Steep Hill Lab in California give patients a complete cannabinoid profile of their medicine. It’s always a good idea to check a strains profile before making a decision. Because cannabinol is a production of degradation, it’s not usually found in high concentrations (in a collective). High levels of CBN are usually related to poor storage methods. If cannabis is stored in an airtight container of some sort, it’s unlikely that a lot of THC would convert to CBN. Luckily, not all is lost if you’re searching your collective for a sleep-aid. The simple solution would be to allow you’re medicine to age a bit. When exposed to the air, the THC will begin to degrade and convert to CBN, a great way to fight insomnia.